I recently asked my friends on FaceBook for blog topics that interested them. Except for one, all of them wanted to know about birth and topics related to post-partum. Not a single one asked specifically about Pregnancy! While I may start a regular blog post where I link to topics of interest to parents (indeed, I do read widely on the subject!) I am more interested in writing about pregnancy/birth preparation (and healing birth trauma.) After all, I am a pregnancy coach! So, I’ve decided to write a 3-part post addressing why Pregnancy is so important–for both mother and baby. Hopefully, I can use this series to start sharing a bit of my fascination with Pregnancy and show you why we need to pay much more attention to this life stage. In each of these parts, I will examine a particular aspect of Pregnancy. I will touch on the impact of nutrition, stress and pre-natal bonding. Are you ready? Let’s go! In humans, “normal” gestation can last between 259 to 294 days. So much can happen during this time that sets the stage for the child’s health & well-being; your baby is already getting “fed” by you; in fact, they start developing their taste for certain foods inside the womb! Current research indicates that the nutrition of the mother can affect the child’s chance of obesity in the future as well as the resiliency of its immune system. If you read my previous blog post, you can see that I am passionate about adequate Vitamin D in pregnancy. Unfortunately, my mother was deficient in it during her pregnancy (like most Brits) and my small jaw and many cavities are testimonial to this (unknowing) lack. My immune system was also compromised and I ended up with several bouts of pneumonia before I was three as well as asthma and eczema. Fast-forward to today & I haven’t been ill in over 3 years, since becoming sufficient in D — a far cry from the sickly girl who was in and out of the hospital much of her childhood. Fortunately, my mom ate plenty of fatty fish and I came out with a pretty high-functioning brain (most days!) I tested high on the IQ test in 3rd grade–not Mensa level–but not too shabby! The importance of Omega 3s to baby’s brain development has now been confirmed. Everyone knows about the importance of Folic acid, but did you know how essential minerals like Magnesium and Zinc are? We need them for normal growth & development, building healthy skin & bones and creating a strong immune system. Many of us are deficient in both minerals. Oysters are a great source of Zinc, and both are easy to supplement, if needed. Moms benefit from good nutrition in many ways. Your body feels better and bounces back quicker when you aren’t depleted. Birth & breastfeeding are easier, too! Nausea, stretch marks, bloating and other “normal” pregnancy symptoms can be a thing of the past. More detailed information on Pregnancy nutrition can be found here. The bottom line is that feeding your baby starts when you are Pregnant. It’s time to nourish your baby as if they were already born. You are creating a human being who will one day thank you for being such a great parent during your pregnancy! What are your favorite foods to eat in Pregnancy? great post! I like your views on nutrition, and I agree that it is so important to focus on, prepare for and learn about pregnancy. However I think one reason you may be getting more feedback about the postpartum days is because…nobody talks about them! People are very interested in you and your baby during pregnancy. Friends, family and strangers will give you advice and well-wishes until the cows come home. But nobody is giving out free advice about dealing with stitches and hemorrhoids. Or giving actual, reliable baby care advice–mostly just questions like “Is he sleeping through the night?” >:( does that make sense? For as much as there is to be concerned about with pregnancy, I think very aware women can still be at a loss when it comes to how to take care of yourself or your baby after the birth. Thanks for a good post! Too true. Looks like I will have to start addressing post-partum issues in my blog as well! I do post-partum coaching, but it is more in the emotional realm than the physical. 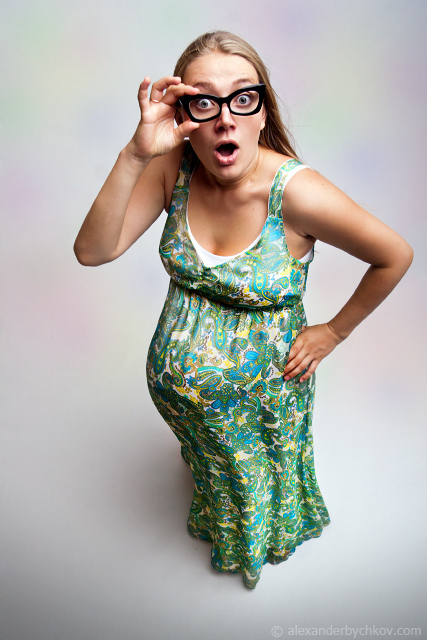 I have some doula friends who will have to write me some guest blog posts soon.